A casual day at ALCOSAN will make for another great day at Tickets for Kids! For the second year in a row, the generous employees of the Allegheny County Sanitary Authority will pay $5 each to wear their favorite comfy jeans to work, then donate the collected funds to TFK. Last year, donations from the Jeans Day program resulted in a $1,365 contribution to Tickets for Kids! 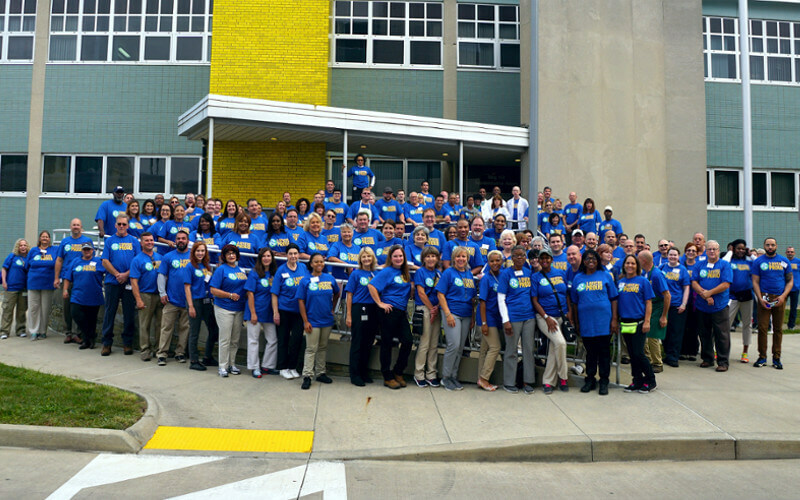 Started in January 2017, ALCOSAN’s Jeans Day program usually attracts between 60-90 participants who are eager to do good while dressing down. In addition to providing wastewater treatment services to 83 Pittsburgh-area municipalities, ALCOSAN is an active community partner. Tickets for Kids is grateful for ALCOSAN’s support and partnership. We look forward to sharing the opportunities their contribution will provide with the kids and families we serve!